An assignment from a course at Swinburne University where we were assigned to design and program an interactive greeting card. 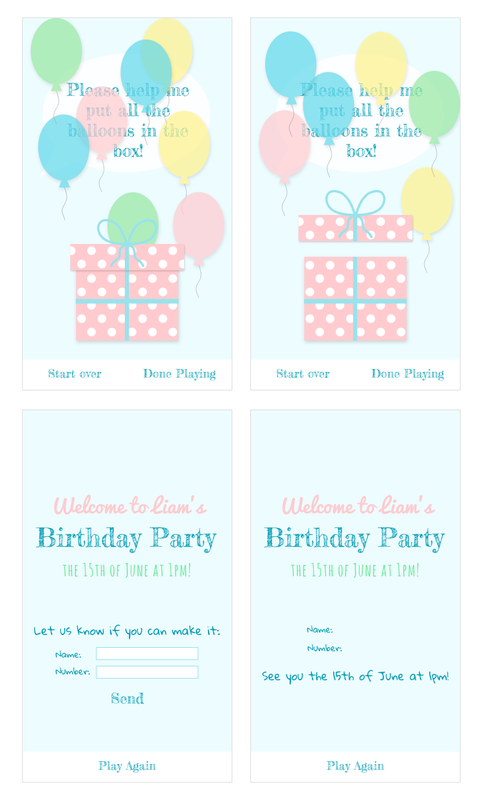 I chose to make an invitation with the purpose to inform about the party and get parents to RSVP but also something the kids could play with. The game is to open the box and collect the balloons. There's still some errors that need to be addressed and some features that I wanted to add. It's unfortunately not completely compatible with touch, but if you click on the image below you'll be able to try it out.